1. Chop, clean and wash the cauliflower. 2. In a pan add 1 tsp oil, mustard, cumin and dry chilly.Wait till it splutters. 3. 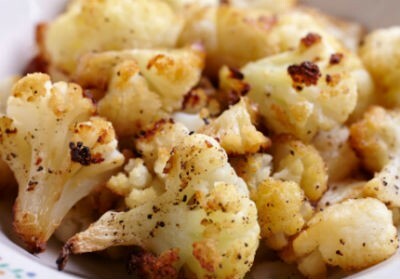 Add cauliflower to this, Season with salt and pepper powder and mix properly and cook it by covering the lid for 5min. Do not add any water. 4. Add all the remaining masala powder and saute properly and cook for another 5 minsby covering the lid. Then remove the lid and saute properly and add lime juice and mix. 5. Garnish with freshly chopped coriander leaves and serve hot with freshly made rotis. Feel free to comment or share your thoughts on this Gobi Fry Recipe from Awesome Cuisine.